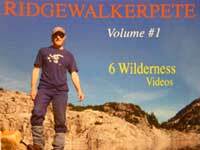 I'm really happy to announce 'RidgewalkerPete volume #1 DVD' is now available for sale through this site. It has been a lot of fun learning how to compose the video as well as the music....not to mention overcoming the challenges dealing with this pesky computer. I will continue trying to give you a taste of how beautiful these places are as I work on volume #2. 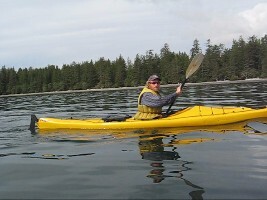 These early days of summer find me composing and recording music for a couple of videos that I filmed last fall. One is from a hike up Webb mountain where I enjoyed fantastic weather on a the high ridges. This photo on Mt. Macdonald captures one of those moments where it was difficult to pretend to relax when I was really thinking about camera settings, the timer and scrambling back safely. Everything seems so much easier when it is dry and warm. I am always equally prepared to deal with this situation. During the winter I decided to finish the full version of 'At Sea Level'. The short version was an editing experiment which I like very much but there was more to show. The video 'At Sea Level [the directors cut]' is the result. You music people may enjoy the A minor to F swells mimicking the ocean and the time signature shifts between 5/4 and 6/8 time. The bass guitar track took a lot of concentration to nail down. 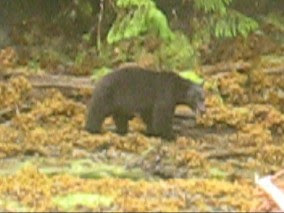 Thanks for looking everyone and stay tuned for 'RidgewalkerPete volume #2.